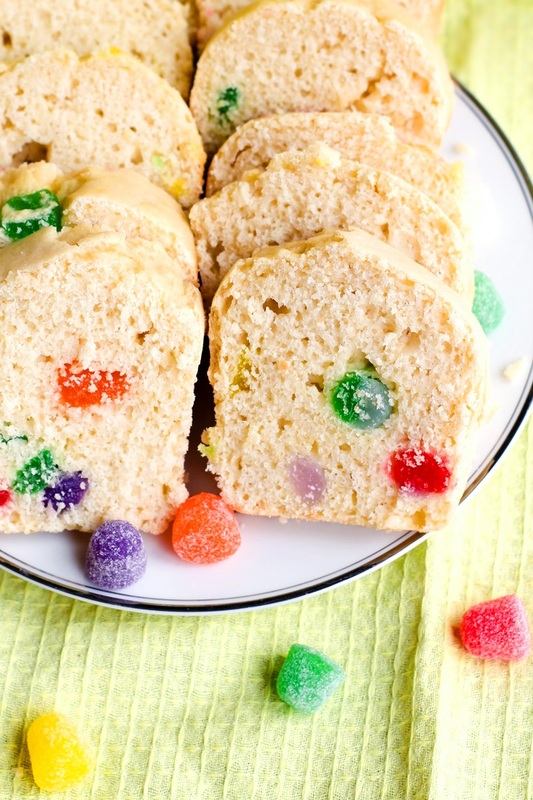 Gumdrop Bread is an old-timey recipe that is simple to make and lots of fun. 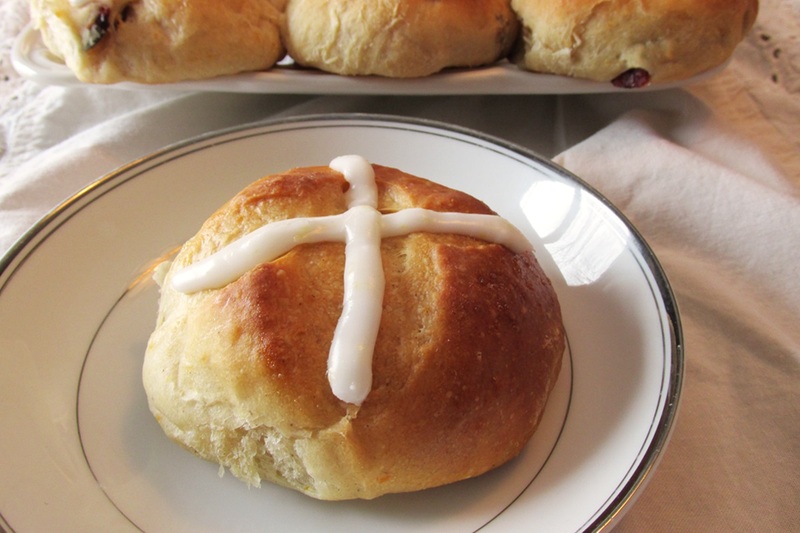 While it is often served at Christmastime, it sometimes appears at Easter, too. Katherine and I thought it would be a good Springtime Kids Can Cook recipe. 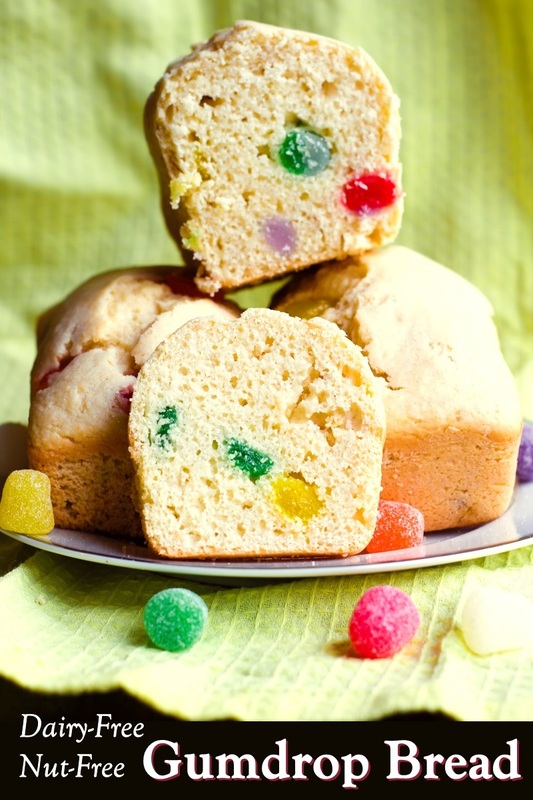 Gumdrop Bread is traditionally baked in empty cans. We baked ours in mini loaf pans. The bread usually contains nuts, which we left out to make it nut free and safe for a school treat. 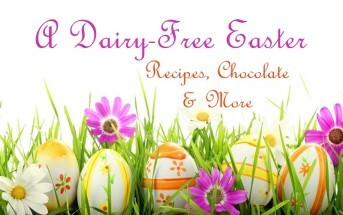 We also made an egg-free version. I found the egg-free and vegan Gumdrop Bread to be more cake-like in consistency. I liked it better than the egg variety! For the Gumdrop Bread photographed here, we used Spice Drops from our local candy company. You can always make the bread with a single flavor of gumdrops or your own custom mix. Fresh, soft gumdrops yield the best results. If you have trouble finding allergy-friendly gum drops, you can use Dots. If you want the sugared look, you can spritz the Dots with water, and sprinkle them with coarse sugar. 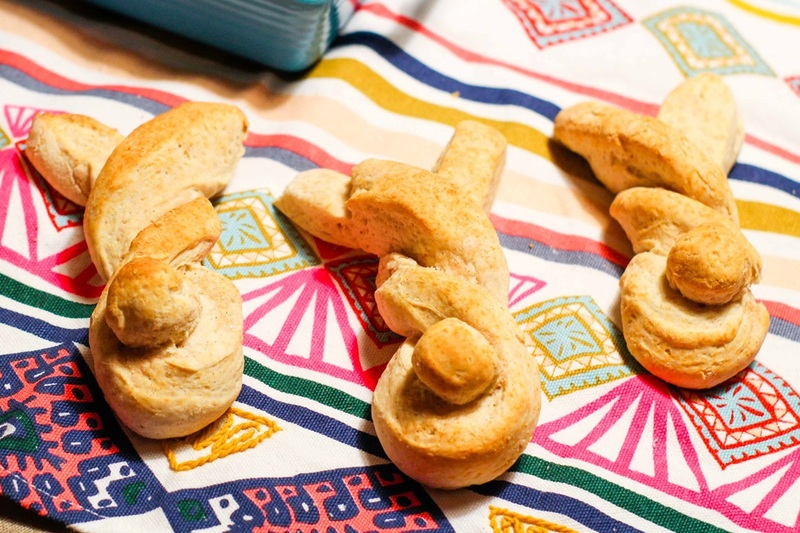 This is a fun recipe to bake with kids. They can help measure and combine the ingredients. They can also help slice the gumdrops and pour the mixture into the loaf pans. If you like, you can also have children wrap the breads in food-safe gift bags to give to family, friends, and neighbors. Teens and older kids can master every step, from mixing to baking. 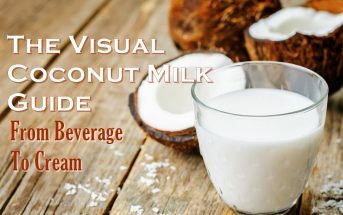 By ingredients, this recipe is dairy-free / non-dairy, optionally egg-free, nut-free, peanut-free, soy-free, optionally vegan, and vegetarian. Just be sure to pick gumdrops that are suitable for your needs. Put the gumdrops in a medium bowl, sprinkle with the 1 teaspoon flour, and toss to coat. This helps to avoid the gumdrops clumping together. In a large mixing bowl, whisk together the remaining 3 cups flour, sugar, baking powder, and salt. Put the egg or applesauce, milk beverage, and oil in a medium mixing bowl. Beat with a hand mixer until combined. Add the wet mixture to the dry mixture, and mix until thoroughly combined. Fold in the sliced gumdrops. Divide the batter evenly among four mini loaf pans. Bake for 25 to 40 minutes, or until a toothpick inserted in the center of a loaf comes out clean. The time depends on the exact size and material of your pans. Let the loaves cool in the pans for 5 to 10 minutes, before carefully removing them to a cooling rack to cool completely. Store the mini loaves in an airtight container or wrap the breads in food-safe gift bags for giving. This is such a good idea! 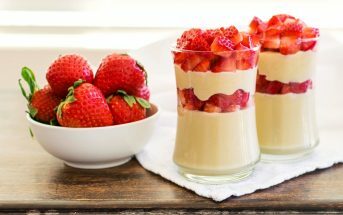 I am sure the kids would love these if I made them, so sweet! Thank you, Noelle! 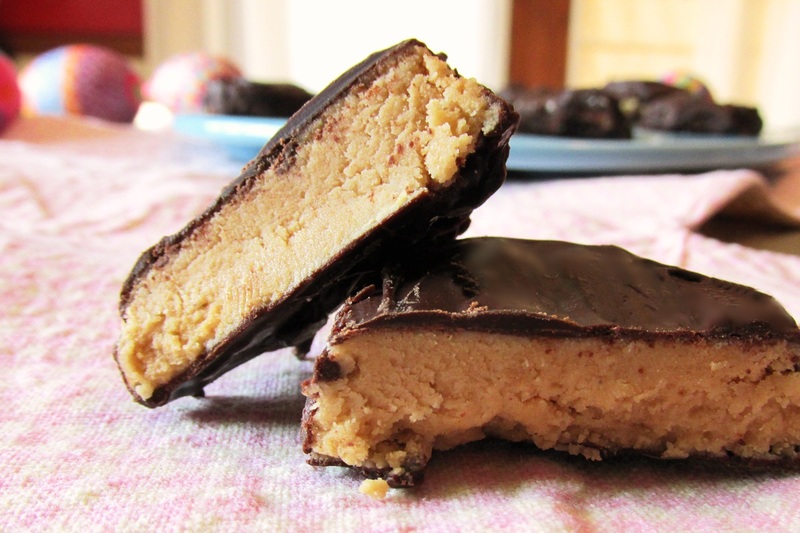 I love old fashioned recipes like this one; I hope you try it! Thanks, Jenna! Let me know if you try them; it is a fun, simple quick bread recipe. These are just the cutest little loaves I’ve ever seen! 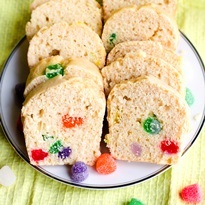 I’ve never had gumdrop bread of any sort, but this recipe has me inspired to try it sometime! Thank you so much, Kristen! We had a lot of fun making this bread and hope you do, too.